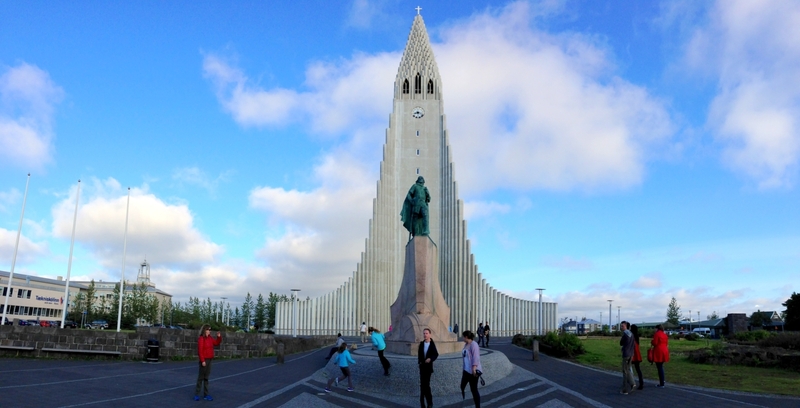 Before we leave the magical island nation of Iceland, let’s take a tour around the charming city of Reykavik, home to 200,000 of the country’s population of 300,000. 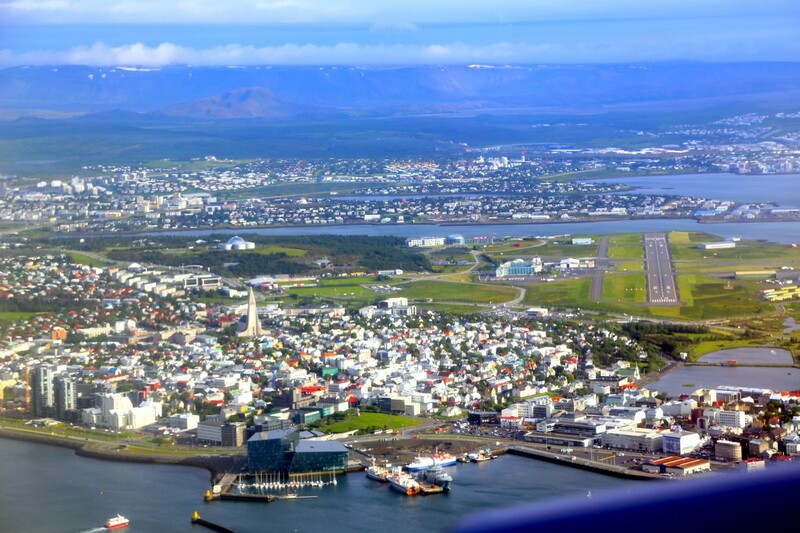 Seen from the air, Reykjavik is a tightly clustered city. 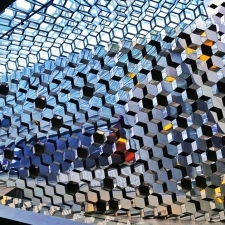 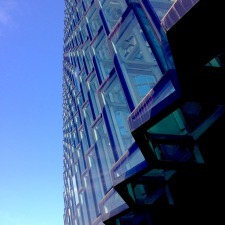 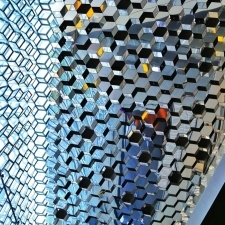 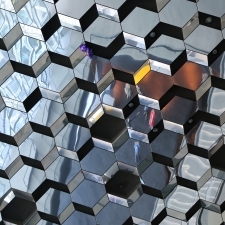 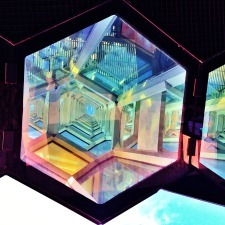 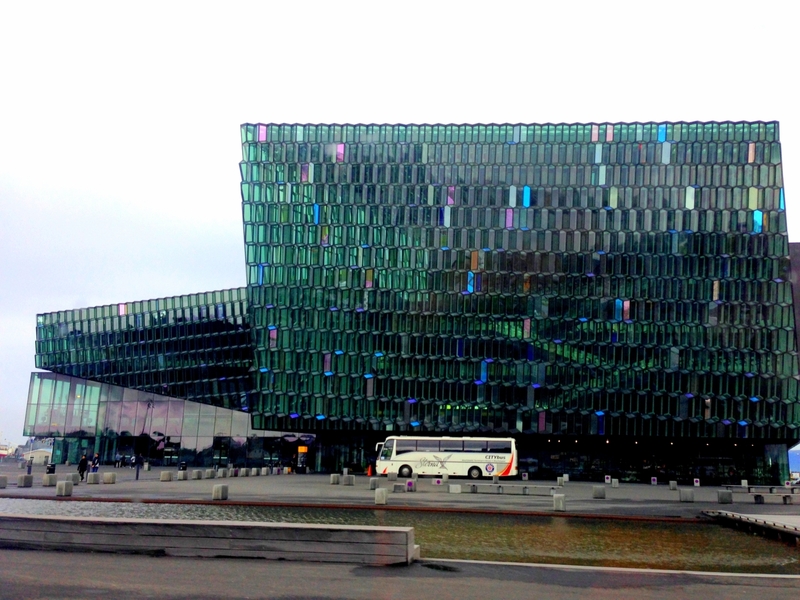 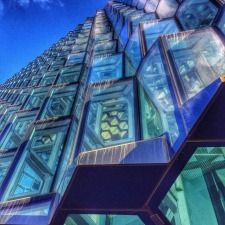 The recently built green dichroic glass-clad Harpa Concert Hall sits on the waterfront. 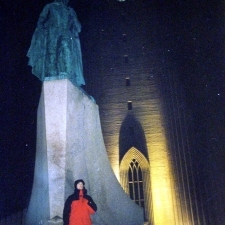 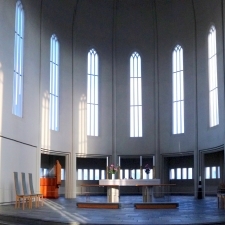 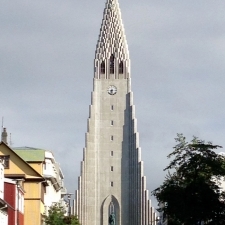 At the center of the city is the massive Hallgrímskirkja church. 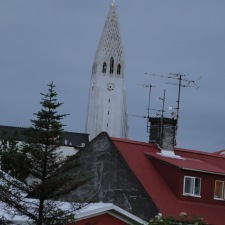 On a hill behind the church sits the Pearl Restaurant which serves up 4-course 5-star meals and a view of the city below. 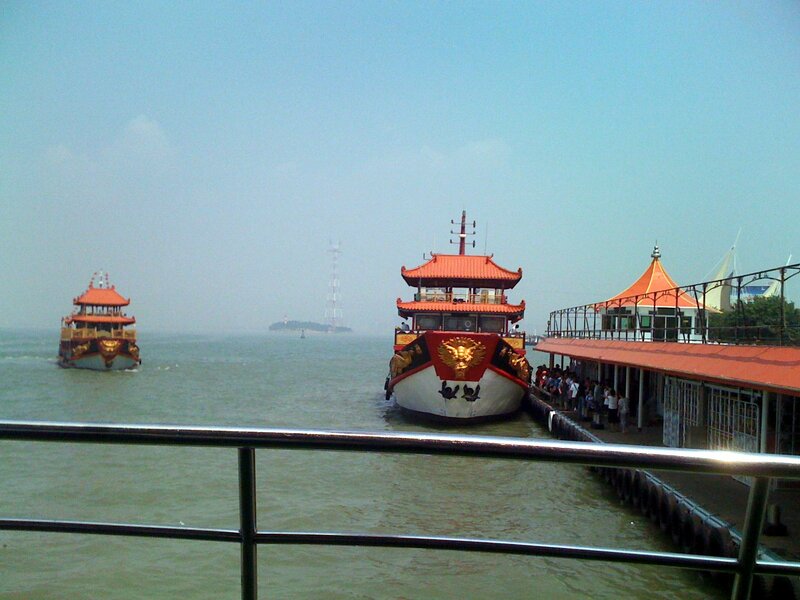 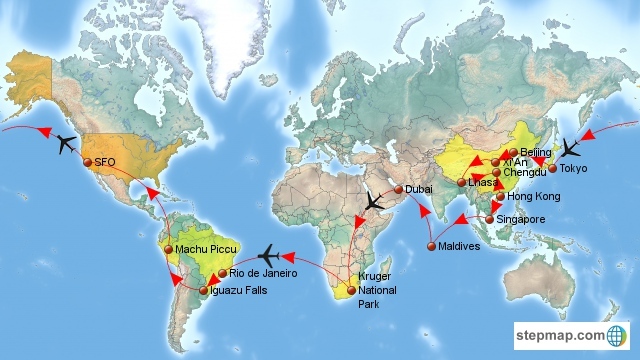 We had planned to visit the Pearl, but we did not have time with all of our excursions. 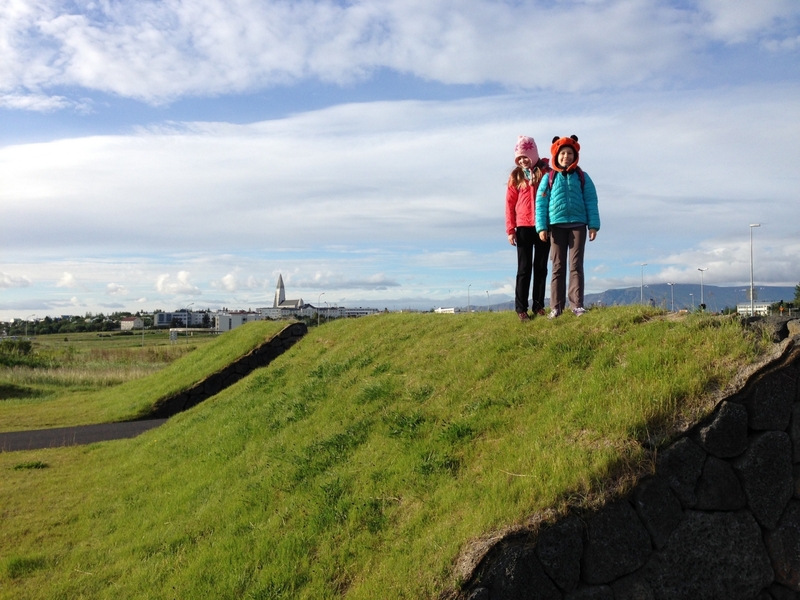 To the right is the regional (national) airport, Keflavik. 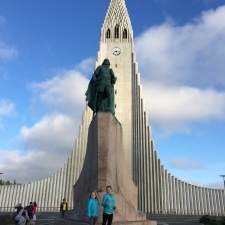 Probably the most recognizable building in Reykjavik is Hallgrímskirkja, the massive church that sits in the center of it. 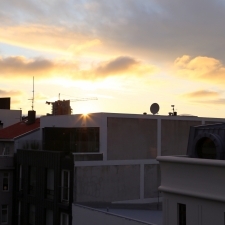 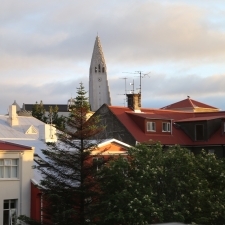 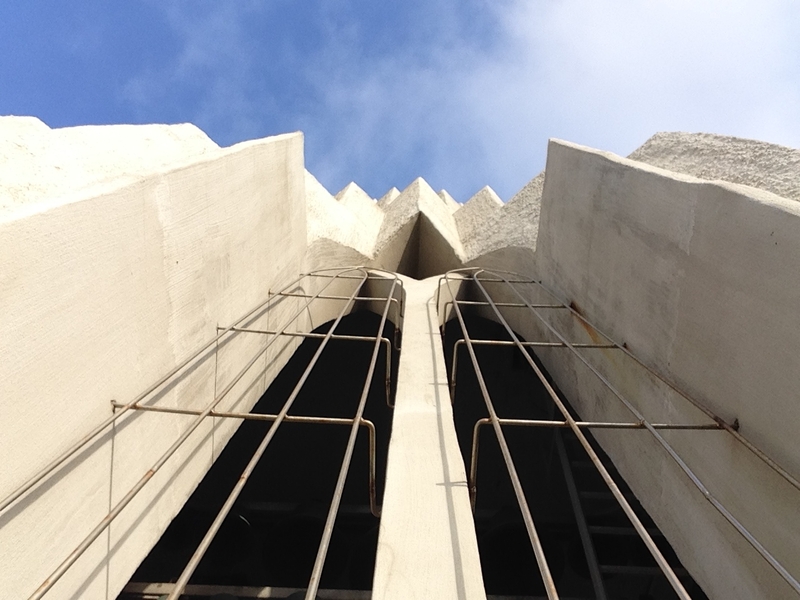 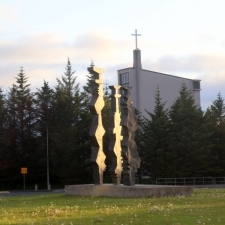 At over 200 feet tall, it towers above Reykjavik and is visible from all over town. 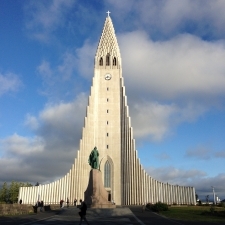 It was designed to resemble the basalt columns, however, with a statue of explorer Leif Eriksson in front, some might think it looks a bit like a viking ship. 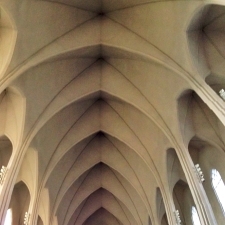 The church is tall and very long. 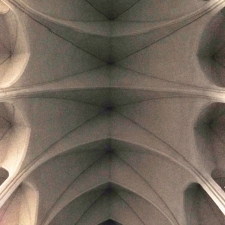 Giant gothic arches stretch from one end to the other. 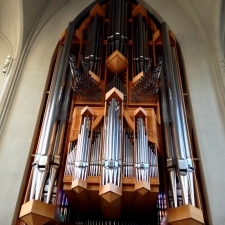 At the back is a massive pipe organ. 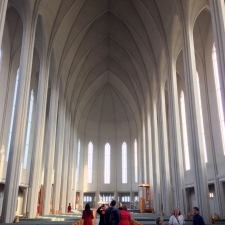 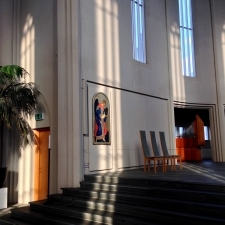 When we were there, the evening sunlight (8:30PM) stretched across the floor. 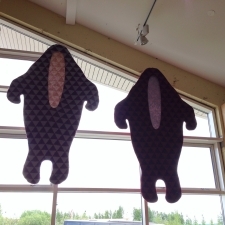 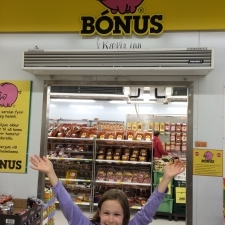 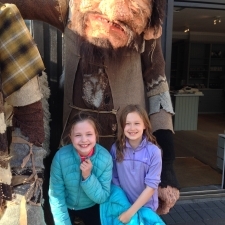 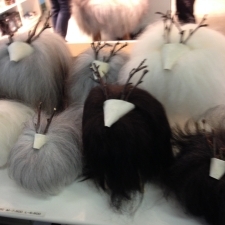 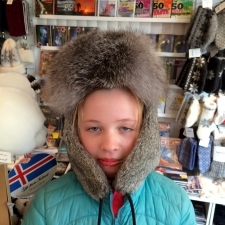 The shopping in Reykjavik is decidedly Nordic. 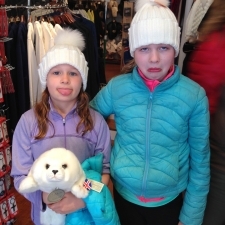 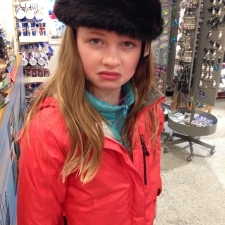 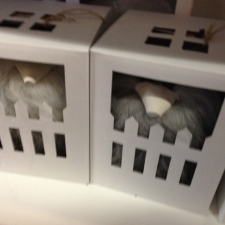 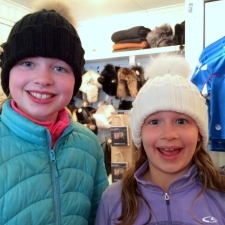 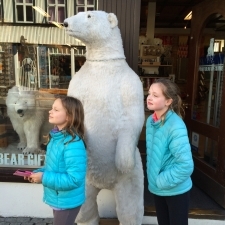 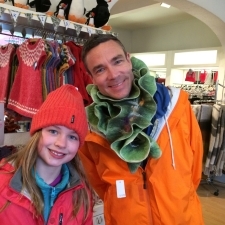 With polar bears, seals, reindeer, fur hats, and ruffled scarves, the shopping suggests that it gets cold here. 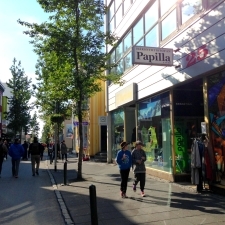 For food, there are lots of choices, from local cuisine to a fairly diverse international fare, but it is all expensive, even the cheap restaurants. 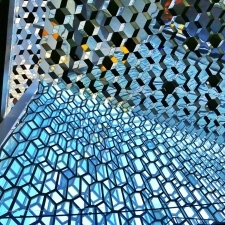 We would have liked to have visited the Pearl, but just ran out of time. 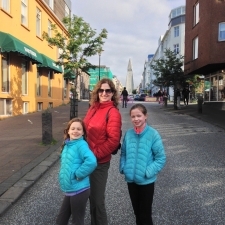 One of the best restaurants that we did go to was actually at the Blue Lagoon, called Lava, where we had amazing torched smoked salmon. 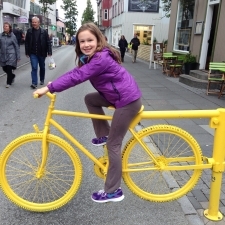 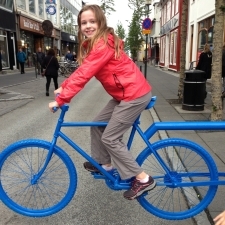 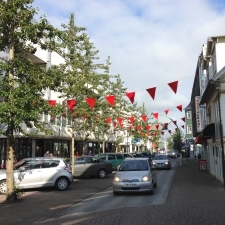 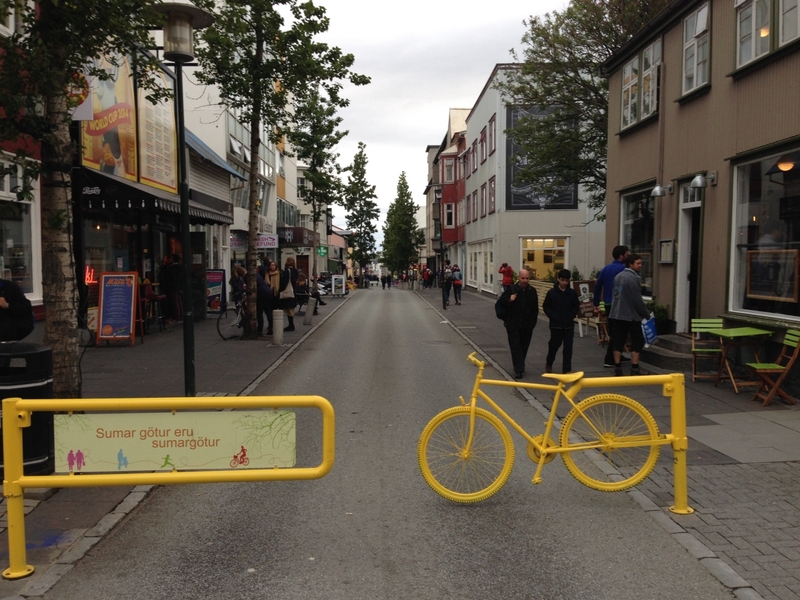 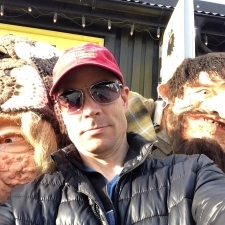 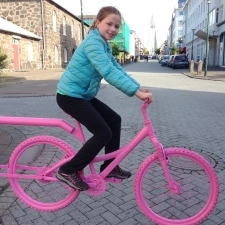 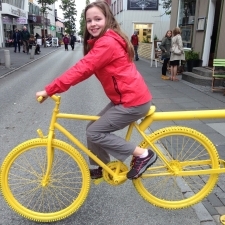 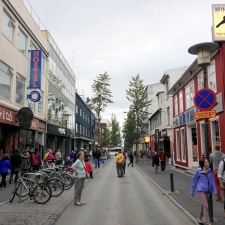 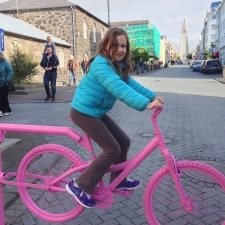 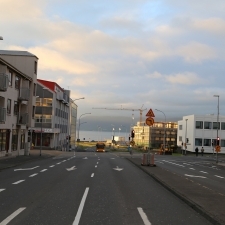 Reykjavik is a very friendly town and it’s easy to get around. 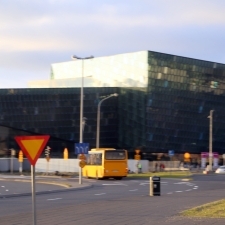 All tour companies will pick up from hotels, apartments, or condos in or out of town. 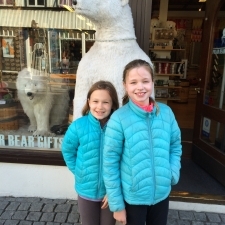 It was certainly easier to walk around town during the summer than when we visited in the winter!